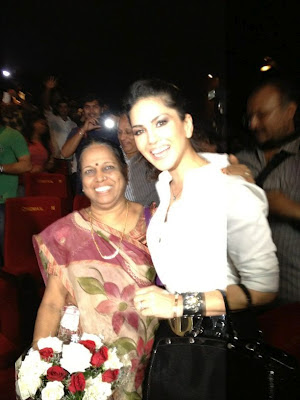 Jism 2 get well start in this week and this news will make Sunny Leone and her Jism 2 Team happy. Sunny Leone is busy and today was her last day at Delhi. She went most of Cities of India for a promotion of her first bollywood debut. "Last stop of the #jism2 tour Hyderabad. Come and hang out with us today!!!" "@SunnyLeone @imsonoo@SunnyLeone at #Indiagate #delhi for da promotion of #Jism2 wth cast ..... "
"@SunnyLeone at Chandigarh for da promotion of #Jism2 plz rt "